Scott has had a diverse career. he’s experienced in many fields. He became the top user and most knowledgeable about one of his favorite online products. When gas prices hit the roof, the owner of the company brought him onboard full time. He helped drive their blog to among the very top social media blogs. He co-authored the Facebook All-In-One book for the famous “Dummies” series. In January of 2017, he came on board at Agora Pulse to start the Social Media Lab. taking on gurus and “best practice”advice all over the interwebs. 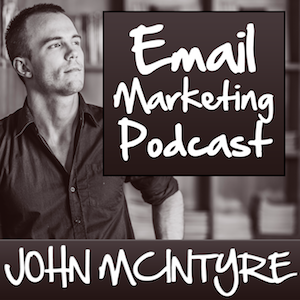 to the McMethod Email Marketing Podcast. Will using a LinkedIn hastag get you more impressions? Scott put it to the test. How to figure out exactly where your audience hangs out. Scott destroys what Instagram goo-roos have been teaching for year? Have you been a victim of this advice? Compelling data from Scott’;s (former) bounce house/inflatables business. The social media success story of Gerald and the Colossus pizza. 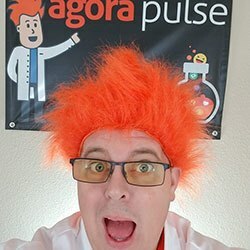 listening to this I won’t get into that right away but today we got an exciting guest who’s gonna talk a lot about social media his name is Scott Ayers from the social media lab and the parent company Agora pulse Scott welcome to the show. Scott Ayres: Hey thanks for having me on. marketing podcast and we’re getting back at her and you’re the first guest to sort of restart things post summer and so maybe let’s give a little your backstory. How did you get into social media and sort of you know take us – take us up to where you’re at now.